I will buy tabletop goods until I'm bankrupt, but you can't get me to buy another countertop item. No toasters are allowed. No bread box. And certainly no knick knacks will be found on my counter. Just a workhorse mixer and the bare necessities: coffee maker, tea kettle, salt bowl, oil, and utensil jars (the last of which I'd usually banish to a hanging rack but I've let my guard down). But then everyone was talking about seltzer. Kristen wrote this article on seltzer makers. And Jenny had this one in her home. I wanted spritzy, optimistic drinks like everyone else, and I really wanted to get rid of the box of cheap seltzer we always had lying around for me to trip over. Just this once, I let in another countertop squatter: the SodaStream. We've been getting to know each other over the past few weeks. He's slim and unassuming. He doesn't require an outlet. And he's only noisy when swooshing air into tap water. My kids love him. My husband has a new toy. And I now have a small but burgeoning repertory of summer drinks. If you'd like to join me, here you go! I bought this a few weeks ago in a an attempt to have a permanent supply of my family's penchant for sparkling water over still but alas it sat forlornly on the counter waiting for me to get around to figuring out how to use it. Just as I was about to sit down at my computer and print the "return" label ( I,too, cannot abide a cluttered countertop ) , this article came up and I was instantly inspired and my soda stream and I are happily getting to know each other . 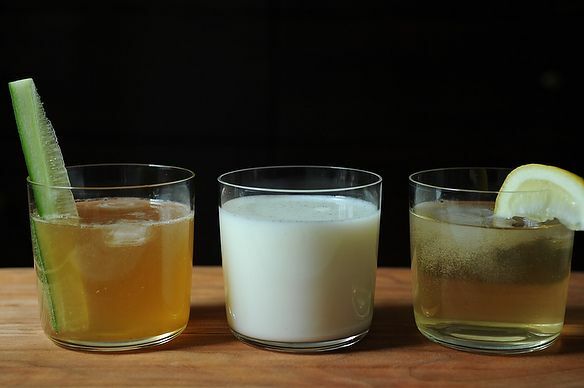 Try seltzer + Ginger 'Gizer (from Ginger People; at Whole Foods or online) (and, optionally, a splash of OJ) or seltzer + elderflower cordial (available in some natural food stores, or at IKEA of all places) for super refreshing summer coolers. Amandaa, that is a freaky-awesome top you are wearing. I'm a big fan of all things stripedy. Amanda, you make me miss my (late) father. I grew up in the 70s and 80s with my dad's ever present soda bottles/seltzers in the sideboard. I never quite got it..... Now you're making me want to get yet another appliance. I got my husband the sodastream (we have the one that looks like a penguin!) about two years ago for his birthday and we are still obsessed with it. It's the only appliance we lugged to Israel! Luckily they're as obsessed with it here as we are so we can readily get the cartridges (I think it may even be an Israeli company). Oooooh... I just was given a william sonoma gift card today! I know what I want! I'm going to start charging sales commission. I've had my Soda Stream for over 8 years, and have run out of fingers counting the converts of neighbors, relatives and friends who have purchased one after spending time at my house, or attending a dinner party. Just last month I got an email from a neighbor who wanted to buy one for her husband for his birthday. Honestly? I use it more than my coffee maker. 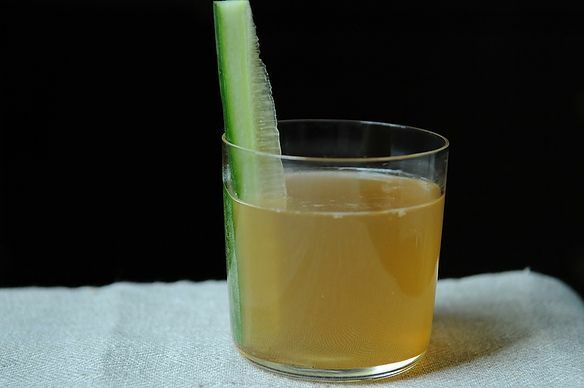 PS Forgot to mention that your ginger ale and cucumber would be brilliant with a few shots of Pimm's Cup on ice. Having just had my first glass of Pimms, sailing down the river and punting in Cambridge (UK), I think ginger ale would make a damn fine addition to a cup of Pimms! I got rid of my coffee maker because of this machine! Not enough counter space and the coffee machine seemed space age. Seltzer water I can enjoy all day. After noon, no coffee for me. I only use a tiny pour over filter and it fits neatly in my junk drawer. Freshly made seltzer plus Amphora's honey ginger white balsamic vinegar. Sounds strange but it's absolute heaven. First, I love my SodaStream, total gamechanger. Second, these sound delish. But most importantly.....WHERE DID YOU GET THOSE GLASSES? Love. Covet. Please tell me they are readily available and not insanely expensive. Love these recipes, Amanda! My mom got a SodaStream last Christmas, but we just opened the box a couple weeks ago. I put it together for her (easy peasy) and she loves it. It's tall and slim, so doesn't really hog up a lot of her counter space. I've got lovage syrup in the fridge...might just play around with that, too! I've had a SodaStream for three years and I love it. Especially in the hot summer months. Friends are always so impressed when I bring over my homemade soda, with homemade syrup. I love to have a pitcher of seltzer on the table during dinner parties, dressed with slices of citrus or with raspberries bobbing at the top. I'm loathe to take on another appliance, too, but this has been giving me teasing looks for a while. One of these days when my defenses are down . . . . I have owned an iSi seltzer bottle for years that sits next to the vermouth bottles in my refrigerator. I still get a kick out of charging it. So I don't see a Sodastream in my future. 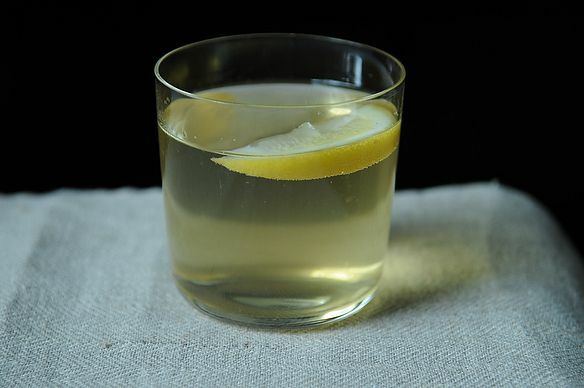 In recent months, I've come across several ginger syrup recipes and told myself that I should make some and never did. This recipe has inspired me to finally do so. If I made a large batch, what would the shelf life be in the refrigerator? I guess if I added a splash of vodka I wouldn't have to worry. Please tell us do you make toast in the oven like Delia Smith? I have no toaster in my small NYC apartment, so I would love to know what you do? I had been wafflling for years over whether to get a sodastream: was it just going to be another appliance that sees the light of day once a year (hello, pizelle maker)? But then Amanda tweeted about hers, and I thought with the Food 52 seal of approval, I should take the plunge. Best kitchen purchase in a long time! 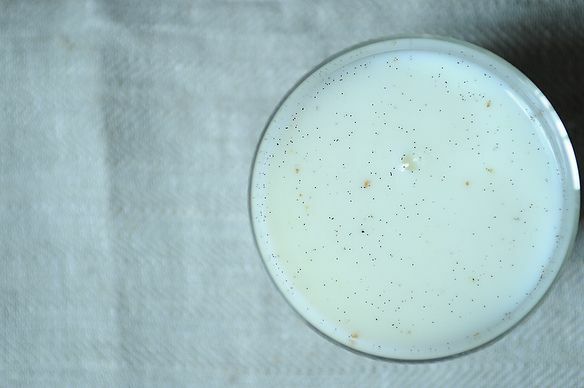 There's a new book by Andrew Schloss about homemade sodas--gave that to the kids and hours of fun and sibling bonding over syrups ensued. This brings me back to the hotel years when I climbed up on a milk crate to serve the guests egg creams, ice cream sodas, and sodas make from flavored syrups and seltzer from the soda fountain. I have seen this machine in action, and it is amazing!